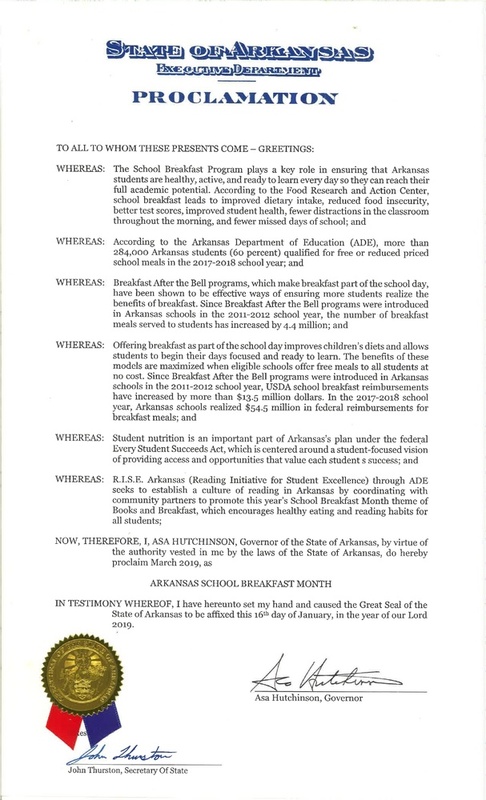 Governor Asa Hutchinson proclaims March as National School Breakfast Month. Paris Schools will recognize March 4th-8th as National School Breakfast Week. 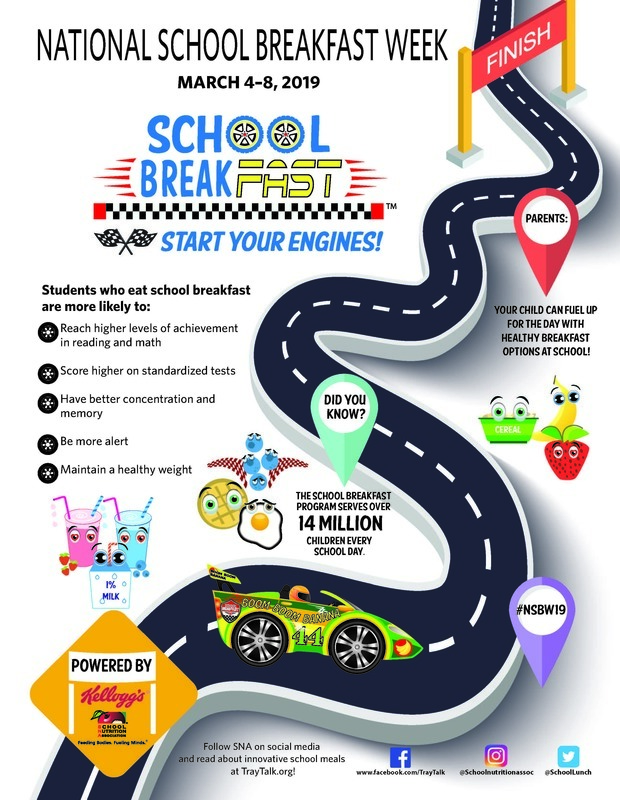 Research has proven breakfast plays a key role in ensuring students are healthy, active and ready to learn everyday so they can reach their full potential. Breakfast as part of the school day improves students' diets and helps them focus throughout the day, making them ready to learn!